Got an Apple, Mac or iOS tech question? We have the answer. This time we have a reader whose playlists suddenly don't look the way they used to after upgrading to the latest revision of iTunes 12. It's not a bug; it's a feature! But if you don't like the new look, don't worry - you can change it back. Plus we've got some other advice for making iTunes playlists look the way you want them to. Some changes recently occurred with my Mac's iTunes music library when I updated. Usually my playlists show a list of all the songs, along with info like the artist, my rating, last time I played it, and number of plays. Now some (but not all) of my albums and playlists instead show the year of release and individual art but not some other info. Is there a way to change them back or make them all the same? 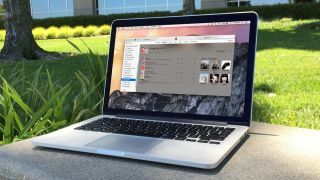 iTunes 12 introduced a new view for playlists, and many folks really like it, but for folks that are used to the old way, it can be pretty annoying. Fortunately, you can switch between the different styles, and it's fairly easy (albeit a bit of a hidden setting). 1. Select the playlist you want to change the appearance of. 2. In the selection bar (below the search box in the upper right), you'll see a drop-down that says something such as "Playlist" or "Songs." 3. Choose "Playlist" for the new view or "Songs" for the old view. If you're choosing "Songs," uncheck "Show Artwork" if previously checked. Apple still provides the ability to get the classic song listing view back for your playlists. The drop-down lets you select other views as well, plus it allows you choose what info is shown in the "Songs" view (just click on the "Show Columns" drop-down). Additionally, when in Songs view, you can press Command + B to bring up the browser to filter through the various genres, artists, and albums contained in the playlist. Note that you will need to adjust the viewing style on each playlist manually, however, since there's not a change-all feature. Got an Apple tech question? Email ask@maclife.com.